Welcome to Part Five of our five part series entitled: “How to Apply for and Get a Better Paying Job.” If you have been following along, then by now you have learned some crucial steps you can take to virtually guarantee you get called back by the hiring manager of the job you really want. Now that you have taken some time to write out sample cover letters, and have invested the time to customize your resume to the job(s) you want, you have no doubt landed interviews with the kinds of companies that can further your career. If you have interviewed well – in other words, if you carefully listened to each question the hiring manager asked, and then responded succinctly and on point (without over talking), and you were upbeat and confident – then you probably have several offers from competing companies. What a nice position to be in! If so, then the final piece to landing the job of your dreams is to learn how to ask for – and get – the kind of salary or compensation package you really deserve. And what we’re talking about here is learning how to negotiate how you are compensated. What is so interesting about this phase of the interview process is that most people don’t even know (or attempt) to negotiate their comp plans. Instead, they think that what they are offered is what they have to accept. And that is not always the case. The reason for this is because it is very hard for companies to find good people to hire. Just think about how many resumes the hiring manager receives (hundreds for a sales position), and think about how many of those are no good (for one or many reasons). 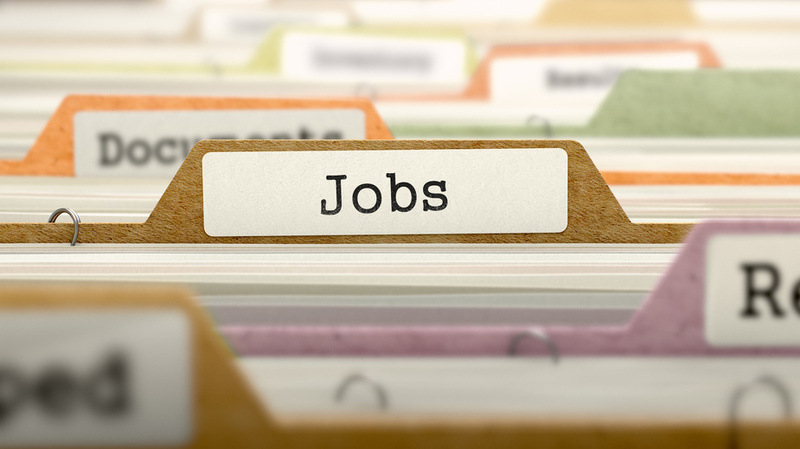 Again, 80 – 90% of the resumes a company receives are not qualified for the position. Next, think about all the interviews a hiring manager has to deal with. First, anywhere between 20 to 30% of interviews don’t even show up! No calls of explanation – just a no-show. Next, of the people that do show up, many of them are disqualified in person for one reason or another. And then think about how excited the hiring manager is to finally meet you. First, your cover letter and resume put you at the top of the list. In fact – and take it from me, again, I’ve interviewed thousands of job applicants over the years – once a hiring manager has seen the kind of resume you have put together, they are chomping at the bit to meet you. Unless you show up in a ripped jeans and a tank top, or if you can’t string two words together, OR if you can’t shut up after answering a question, then just plan on being offered the position. I’ll tell you now, the hiring manager is praying that you are even half as good as your resume, and if you are, then you are going to get an offer. And after you do, the hiring manager will be praying again that you accept it. This will save her/him all the time of searching through and screening unqualified applicants again. So once the hiring manager has met with you, and you aced the interview, this is your best chance to begin negotiating for either a higher salary, a better comp plan, or both – or more! There are several areas you can negotiate and they are listed below. Be confident, recognize that you hold all the cards here and that all they can say is no. In fact, in many cases, they will make you a counter offer which means you still win! #1: As for a sign-on bonus. According to the Society for Human Resource Management, more than two-thirds of companies have trouble recruiting full time talent. And because companies have trouble finding qualified candidates, once they find one, they will often go out of their way to land them. In fact, according to WorldatWork, 76% of all companies now offer sign-on bonuses. And they are not just for CEO’s or other executives either. “And what type of sign-on bonus do you offer?” And then sit quietly and let them talk. As you noticed, I said to ask for it in an assumptive way, not ask: “Do you offer a sign-on bonus?” This is important. Asking in an assumptive way tells them this is something you expect or perhaps might have been offered from other companies. If they still aren’t willing to at least see if there is a bonus, then just leave cheerfully and tell them you will be in touch with them. Believe me, if you made as good of an impression as your resume and cover letter did, then that hiring manger is going to go to the powers that be and talk about what they can offer you as a sign-on bonus. If you decide – even if they don’t offer you a bonus – to take a job with that company, then you will have set them up for the next discussion which is to receive more pay. #2: Ask for regular salary adjustments. This is an area where that sales reps (and other employees) seldom think about, but it can make a huge difference in your overall earning ability. For example, a salary adjustment (or raise) of just $10,000 a year by the time you are 45 years old, can mean an additional $232,000 in life time earnings. That’s big and can count a lot towards your retirement egg. 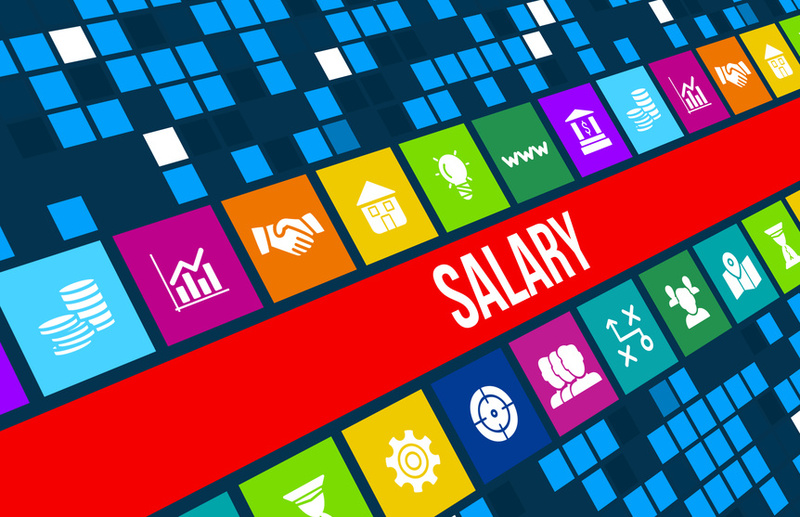 Asking for a salary adjustment can be based on either how you are compensated in proportion to others who have similar positons in similar companies, or a salary adjustment can be tied to an annual performance review. Either way, you should be prepared for the review by knowing what other positions are currently paying or/and by having a documented list of achievements or contributions you have made throughout the year. During these annual reviews (or you can negotiate a semi-annual review), make sure you are able to justify why you deserve a salary adjustment, and help them realize your value. Be prepared to quantify your contributions and show how you performed in a department or on a project, in terms of time line, budget and overall effectiveness. Also, see if you can show how your contribution impacted the bottom line. If you are in sales (and confident in your sales ability), then tie your salary adjustment to an increase in monthly commission payout. Make this a tiered increase so that the more you sell, the more you are compensated. One tip here is to always make your next level payouts retro-active on your total sales for the month. An example would be if you earn 10% on sales volume up to $100,000, then ask for 13% (or more!) once you hit $101,000. But make it so that you earn that 13% on the entire sales volume, not just the amount over. By the way, if you are asking for an increase in sales commission based on performance, you can also request a salary adjustment as well. The two are not mutually exclusive! #3: The other way to earn more money when you sign on with a new company is to ask for a more senior position. This is something people rarely do, but this is a great way to instantly elevate your career. I can’t tell you how many times I’ve heard people tell me they went for a job as a member of a sales team and ended up in a supervisory role. I’ve also heard people go in for a marketing support role and were hired on as the marketing manager. The reason for this is the same as before: Good help is hard to find! If you think hiring a sales rep is hard, you should hear how hard it is for companies to find good managers. And if you’ve been in sales a while (or any other field), then you probably have been managed and know a lot about the job description already. Also if you’ve been helping out in your department as you should be, then you probably already have some of the skills an employer is looking for. You now have three different ways of earning more money with a company than you are probably used to getting. Don’t be shy about asking for it; remember: nothing ventured, nothing gained. If they say no, you haven’t lost anything, but if they say yes, you’ll have gained a lot! This completes this series on “How to Apply for and Get a Better Paying Job.” You’ve learned some proven strategies that can and will get you better paying jobs that can mean a tremendous amount to you in terms of job satisfaction and lifetime compensation. I know that if you just take some time to apply what you’ve learned, then you and your family will be better off for it. In the meantime, I wish you all the success in finding and landing your dream job! Now that we know what to avoid when putting your resume together, let’s look at some essential elements that will ensure that your resume not only stands out, but that it creates an urgency on the part of the hiring manager to call you. As you will see, by following just a few rules you will be able to craft a compelling resume that instantly sets you up as the perfect candidate for any job you choose to apply for. Moreover, by taking just a little bit of time to customize your resume to the specific company you are applying to (it’s easy once you know how), you will make the hiring manager feel like your resume was written just for him/her. And that’s why you will be one of the first candidates they reach out to for an interview. While this information may seem like a no-brainer, you will once again be surprised by how many people leave out either their phone number or email address or both! Leaving out this information makes a bad impression on the hiring manager, as you can imagine. Including it at the top saves the hiring manager from searching through your resume hoping to locate it, and it also makes it easy for him/her to reach out to you. The reason for this is that whenever you submit your email electronically, there is a big chance that your formatting will get improperly transmitted or delivered, and this can easily lead to instantly disqualifying you. 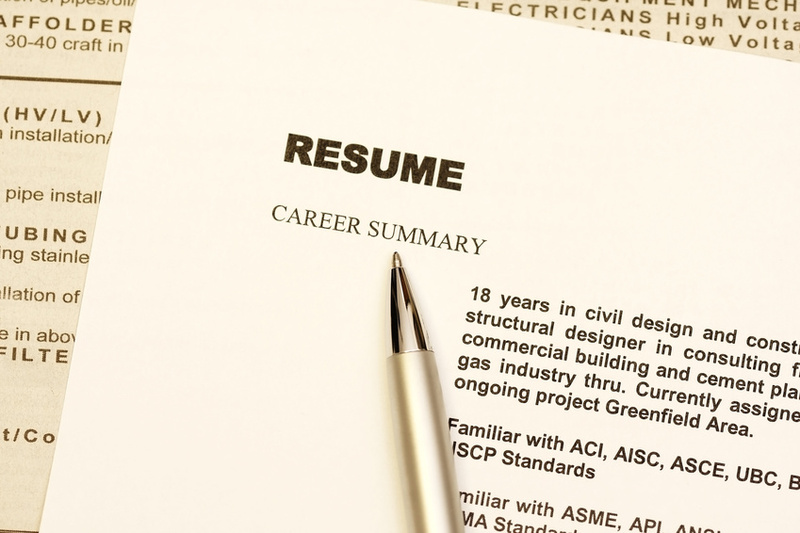 It has been estimated that as many as 75% of all resumes never even get seen because of improper formatting! On the other hand, it is O.K., to use ALL CAPS (where appropriate), and to use Bold, or Italics. Use these sparingly, though, and only to make a special point. Summary Section: At the top of your resume, you should include a brief (and I’m talking two or three sentences) “Summary Section” where you list the specific skills and experience you have that match up to the position/job you are applying for. While writing a summary section is often neglected by job applicants, it acts as an easy and quick way for a hiring manager to quickly scan your resume and make a judgement on whether they want to read your resume or not. This is easy (and highly effective) if you just take a few minutes to do it right. I AM AN AGGRESSIVE PROSPECTOR WHO IS USED TO HUNTING FOR ACCOUNTS. EXCELS WITH EXTENSIVE EXPERIENCE AT MAKING OUTBOUND CALLS TO GENERATE BOTH APPOINTMENTS AND LEADS. As you can see, this matches up perfectly to what the hiring manager is specifically looking for, and as a result your resume will stand out among the hundreds of others that haven’t taken the time to do this. Remember, keywords like these (“aggressive,” “hunting,” “outbound calls,” are the specific things this hiring manager is looking for, and by making it obvious in your summary section that you possess them, you are in essence saying, “I’m the perfect candidate for you.” Believe me, they will keep reading through your resume. Once again, you will see that as you list these keywords in your previous job experience, the hiring manager will keep nodding his or her head as they think, “This is the kind of person and experience I am looking for.” You should do this with each of the previous jobs you had (again, where it is appropriate), and it’s easy if you keep a copy of the job description in front of you as you tailor your resume. Here is an example of how to turn a boring description (the kind your competition is submitting) into something that will not only make you stand out, but will make your resume outstanding! Now which one of these resumes would you want to call? Don’t dismiss this as extra work. Again, it’s easy to do and it makes a HUGE difference to the person reading and evaluating your resume. It can often make the difference between discarding your resume or calling to set an interview with you. Number Four: Sell Yourself! Your resume is your personal advertisement and yet it’s amazing how many people fail to treat it this way. Think about how an ad copy professional would write your resume if it were their job to sell you to a hiring manager. Instead of listing your previous job title as, “Account Representative,” they might write “Outstanding Account Representative who prides himself on providing detailed customer service and timely responses for a complete customer experience.” See the difference? You can use these types of descriptions in either your beginning summary or at the end of your work experience section. They also make great conclusions to the end of your resume. The point is – as I’m sure you are beginning to see – to make a strong impression with the hiring manager. The time you take to rewrite your resume in the ways you are learning here, and the time you take to adapt and customize your resume to the specific positon you are applying to, will give you an undisputed advantage over your “so-called” competition. Number Five: Extra Credit. While avoiding the mistakes in the previous section, and combining the best practices above will help you create a killer resume, if you want to put the “frosting on the cake,” so to speak, then think about adding either a testimonial or any achievement awards – or both! Any and all of the special awards or acknowledgements you have previously received will help you to not only stand out, but they will paint the picture of you as being someone who has not only succeeded in the past, but will likely succeed at their company as well. Most hiring managers are looking for your resume to assure them that you are more than likely to be a success. Because hiring a new employee is a time consuming and costly endeavor, they are looking for candidates that will be a “low risk” hire and hopefully as close to a “sure thing” as they can find. By taking the time to customize your resume to their specific job requirements, and then by creatively and enthusiastically selling yourself to them on how the skills and experience you have match up perfectly with what they are looking for you, you will convince them of this. And by then listing your accomplishments, testimonials and awards, they will further feel not only comfortable with you, but even anxious to grab you off the market while you’re still available. And that’s the kind of impact you want your resume to create, isn’t it? How many resumes do you think an HR Director or hiring manager receives for each job posting they advertise for? Would you guess twenty? Thirty? I hate to break it to you, but if it is a sales position you had better revise your estimate way up. Try over seventy or eighty – and that is just in the first couple of days of posting the job! Now ask yourself how hiring managers decide who to put in the “to call” pile or folder, and who to disqualify and delete. If you think that appropriate skills and experience are the most important parts of a resume, think again. As you will see, there are many other factors that affect what qualifies a resume for a call back versus the delete button. Before we get into the best way to write and organize your resume, let us first start with the common problems you want to avoid – problems that can automatically get your resume disqualified regardless of your experience or appropriateness for the job. Because of the volume of resumes a hiring manager receives, the first thing they tend to do is quickly review all the resumes in an attempt to separate out the bad ones from the good ones. You obviously don’t want your resume to get disqualified out in the very beginning, so here are four errors to avoid so you can keep in the running. Error Number One: Obvious spelling errors or out of date resumes. While this may go without saying, the first thing you want to do is thoroughly spell check your resume. Even one misspelled word can flag your resume – and you as a job applicant – as not being detailed enough or well prepared enough to be taken seriously. At the very least it can move your resume to the bottom of the stack. It is easy to avoid these errors, and you begin by using your spelling and grammar check. If you are unsure of any errors, then take the time to research them on Google, and then choose the best words and tenses that you can. In addition, always have someone else read and comment on your resume before you submit it. Another pair of eyes on a document that you have labored over is crucial to uncover errors that you may not see anymore. The first is easy to do. If you worked at the xyz company from March of 2009 to July of 2013, then your next job should begin on August of 2013. Don’t make the sloppy mistake of putting down that your new job started on July of 2013. This is a red flag that gets the hiring manager to wonder how you worked at two different jobs at the same time. If you happened to begin the new job sooner, or if you worked at both jobs during the same month, then just stagger the start dates so it appears contiguous. The point here is to show that after you left one job you were immediately employed (and thereby employable) by another. There are no questions here and so no red flags. You want to make your employment history clear to your potential employer. There may be some situations where there was a three or four month gap between jobs. This isn’t bad per se, but unexplained time gaps on resumes are red flags that put suspicions and doubts into a hiring manager’s mind. What you need to do here is put in a brief description of the time lapse (and I mean brief – a sentence or two). The point here is to explain any large gaps in your employment history – you don’t want the hiring manager wondering why you were unemployed so long. Your goal is to be brief, professional and positive. Now that you have corrected any spelling or grammatical errors, and have explained or accounted for any time gaps between employment longer than two months, it is time to turn your attention around to the length not only of your resume, but, most importantly, to the length of time of employment at each company. Error Number Three: Listing a history of jobs lasting two years or less. I can’t tell you how many resumes I have seen where a job applicant has not been at a single job (or perhaps only one) longer than two years. When you list five or six jobs that you stayed at for 24 months or shorter, it screams to the hiring manager that they will have you for less than two years at their company as well. And this means that all the time, energy and money they will invest in you will be wasted because you will leave them in under 24 months. Even if you have good reasons for leaving your jobs every two years, it will look to the hiring manager that you are a short term player with a history of quitting often. In addition, if any company you worked for was taken over by a new company or renamed, then don’t list this as a new company! Instead, mention it in your job description, as well as any other job title you took. Many people make the mistake of listing a new company as if it helps their experience, but it doesn’t. What helps you is to show a potential employer that you are a long term player who is loyal. If you do have a string of jobs that you stayed at for under two years, you have a couple of options. The first and best thing to do is to explain why you left each company. Here again, your answer needs to be brief and professional. “Found a better opportunity” is NOT the right reason regardless of whether it is true or not. Putting that down just tells the hiring manager that you are always on the lookout for something better, and when something comes up for you while working at their company, you will probably just leave there, too. Much better reasons include things like, “Company reorganized and position was eliminated,” or “Company slow down resulted in layoffs”. These are both good, professional reasons that hiring managers can identify with. Others (if true, of course) can include things like: “Company relocated out of state,” or “Company was acquired by another firm and positon eliminated.” List other reasons like these if the company you worked for had to let you go (and it was not your fault). If you did leave the company for a better opportunity, then you can state that, but always explain any increased job responsibilities or positions: “Was recruited into a team lead role,” or “Was hired by ABC Company to head up new lead generation division.” The point here is to show increased job responsibilities or positions which required better skill sets or offered job growth. Opportunities like this that show career advancement make you seem more desirable to the hiring manager. Error Number Four: Making your resume too long. Many job seekers think that more is better. That is not the case with your resume. Similar to the above example of not listing too many short term job stays, what you want to strive for with your next resume is to keep it under two pages total. Even one page is preferable, if possible. The way you will do this is to limit the number of jobs – and years – you have been working. I hate to tell you this, but listing every job you have had since you got out of High School is not what the hiring manager is looking for. In fact, by listing page after page all the jobs you have had, you will once again be raising a red flag that tells them that you tend to move around a lot. Furthermore, the only thing a hiring manager is looking for is current, similar experience. So listing many different types of jobs and companies – especially if the job responsibilities were different – is not going to help your cause. Instead, what you want to do is list the most recent – and the most relevant jobs you can – that line up with what your prospective employer is looking for. If you have a few jobs that don’t relate specifically to the skills or responsibilities that are asked for, then find a way to connect them. For example, if you were a customer service rep who is now applying for a job in sales, then you should stress how many phone calls you took, how much your success relied on working with and solving problems with customers, and even how you uncovered up-sell opportunities. These are transferrable skills and will mean a lot to the hiring manager. Next, as a rule of thumb, you want to keep your job history to the last ten years. Again, no one cares how long you have been working – whether it has been eight years or twenty eight. What they care about is how relevant your job history is to what they need you to do. As such, keeping your list of jobs – and so the length of your resume – short and to the point is what is going to make you more attractive to the hiring manager. If, while on the phone or during the interview, the hiring manager wants to know more about your job history, then you can tell them. But for moving your resume to the top of the list, don’t submit a four page resume thinking that you are going to wow them with your long and extended job history. The fact is, this will work against you. The bottom line with the length of your resume, is you want to make it easy for a hiring manager to get through it. You don’t want them to have to navigate three or four pages trying to discern which jobs are relevant and which aren’t. The hiring manager doesn’t need to know your first job was at McDonalds. What they want to know is how your current experience lines up with that they are looking for now. To summarize the list of the four errors to avoid: The first thing you want to do is make sure your resume is free of spelling and grammatical errors. Your resume represents you – make sure it does this well. Second, you want your dates of employment to match up. In addition, if there are any lapses of employment longer than three or four months, be sure to explain these in a professional way. Third, make sure you don’t list job after job with a length of time of two years or less. Remember, whatever you put down in terms of how long your average length of employment is, that is how long the hiring manager will think you will stay with them as well. Now that you know what you should avoid, in our next installment of this series, I will tell you what you should do to write a solid resume that will put you on the top of the list of who to call back for an interview. What you will discover is that it is easier than you think – if you know what to do! Did you know that over 85% of resumes received by hiring managers arrive without a cover letter? While that may not mean much to you, it means a lot to the people reviewing and vetting resumes for the job you are applying for. Resumes that are sent in without someone taking the time to write a cover letter appear to the hiring manager to be submitted almost blindly. It is as if the job applicant has sent their resume in to lots of jobs – shotgun approach – hoping someone might call them back. It shows a lack of preparation and even implies a lack of interest in whether the person gets the job or not. This is NOT the kind of first impression you want to give a hiring manager. On the other hand, those resumes that do arrive with a cover letter get extra attention and are often the first resumes an HR person reviews. A cover letter tells the hiring manager that you care enough about the job you are applying for that it is important for you to stand above the competition. When you take the time to write a cover letter, it also shows initiative and evidences your ability and willingness to go that extra mile. It signals that you are someone who is attentive to detail and that you are willing to do what others applicants (and workers) are not willing to do. In essence, it shows that you are organized, capable, and professional. A well written cover letter tells the hiring manager that you are serious about getting the job, and it gives you the best chance (along with a relevant resume) of landing an interview and ultimately the job you really want. While a cover letter is a huge benefit for job applicants, there are both things to avoid and some definite best practices you can use to insure your cover letter is heads and tails above anybody else’s. Let’s start first with what to avoid. The most obvious thing you want to avoid is writing a generic cover letter that is unspecific to the job you are applying to. Doing so erases any benefit of putting one together to begin with. The first thing you want to avoid is addressing your letter to the generic: “To Whom it May Concern.” This, once again, just lumps you into the generic cover letter pile, and doesn’t differentiate you from the other applicants. This is the kind of detail that takes just a minute or two to customize, but it makes a huge first impression on the hiring manager. Again, it evidences that you care enough – and are resourceful enough – to take the time to go beyond what the majority of job seekers are not willing to do. The inference is that you will also be more organized and detail oriented on the job as well. And this is the kind of person hiring personnel are looking for. Next, the content of the cover letter is where you will make or break a good impression. Now, don’t be intimidated here. The hiring manager is not looking for a college essay, nor are they looking for a sample of your writing skills. What they do want, however – and what you want to give them – is why you are uniquely qualified for this particular job. In other words, they are looking for relevant experience that matches up specifically to the position you are applying for. Let me say that again because this is key: What the hiring manager is looking for is relevant experience of yours that directly relates to the specific job skills and duties they are hiring for. “The skills and duties which you are seeking – specifically prospecting by phone and calling into non-active accounts – are exactly the kind of work I did at Sherman Rentals and ABC Financial. I am highly adept at cold calling and regularly average 68 prospecting calls per day. Now how easy was that? By taking just a few minutes to highlight specific words and phrases and repeat them in your cover letter, you will be doing what 98% of your competition simply won’t take the time to do. Your effort will get noticed and it will move your resume to the top of the stack. By the way, if you didn’t win any awards, then don’t make it up! Instead, talk about the achievements you did accomplish and the results that you did get. Your goal here, again, is to match up your relevant experience that directly relates to the specific job skills and duties they are advertising for. Remember, the key is to use their exact words and phrases when describing your experience in your cover letter. My name is Mike Brooks, and I was very excited to find your job listing on Monster.com. I have always been interested in the online advertising industry (whatever industry their company is in), and feel that I have the relevant experience you are looking for that would enable me to be highly successfully with your company. The skills and duties which you are seeking – specifically prospecting by phone and calling into non-active accounts – are exactly the kind of work I did at Sherman Rentals and ABC Financial. I am highly adept at cold calling and regularly average 68 prospecting calls per day. In addition, I was also responsible for calling into existing accounts and even won awards for my ability to reactivate and up sell existing customers. I would enjoy the opportunity to learn more about the position of account manager you are advertising for, and look forward to exploring how my career experience can be an asset to your company. I have attached my resume for your review and would be happy to discuss my experience or any questions you may have. I hope my experience meets what you are searching for, and look forward to hearing from you soon. Use this template for any sales job you are applying for. (Or any other kind of position as well.) Simply change the name of the company and type of job where appropriate and match up your skills and duties as discussed previously. By taking just a few minutes to customize a carefully worded cover litter like this, you will instantly become one of – if not the very first – candidate that gets a call back. You will be very much in demand and soon you will have your pick of which opportunities to pursue. And having many companies who are interested in hiring you gives you the leverage to ask for and get things like a higher salary, a better commission structure and even a possible hiring bonus. But we’ll cover these in a little while. Once you have perfected your cover letter, the next step to landing the job of your dreams is to make sure your resume matches up with what a potential company is looking for. You also want to make sure not to make the common errors so prevalent with most resumes that are submitted – errors that often get resumes rejected right away. All of these points will be covered in next week’s Ezine, so make sure and be on the lookout for it next week. In the meantime, try practicing a few cover letters and see for yourself how easy it is!